(SWAT) taking concepts from over 1500 years past into the world of modern day athletics and sports teams. Shaolin Warrior Athlete Training moves athletes of any age and skill to the next level. You will become stronger, smarter, faster, more coordinated and with sharper focus. Increased energy levels and endurance will give you the edge needed to rise above the average and move to the ranks of the elite. 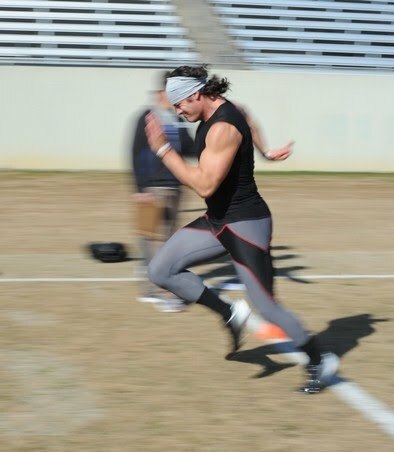 We also work with college football players to enhance their mental, physical and emotional talents as they prepare for Pro Day and the NFL Combine. Congratulations to Mike Niam45 LB Wofford College, Defensive Captain, All American, 2-Time SoCon Champion, All-SoCon, All-SoCon Academic, 2013 NFL Free Agent recruited by the Cleveland Browns and ranked by NFLScout.com as #40 of the top 140 ILB's in the U.S. who is currently pursuing a career as a territory manager with Cybex International. ~Ashante Williams 25 University of Illinois had a workout with the Cleveland Browns on Friday, April 12, 2013.